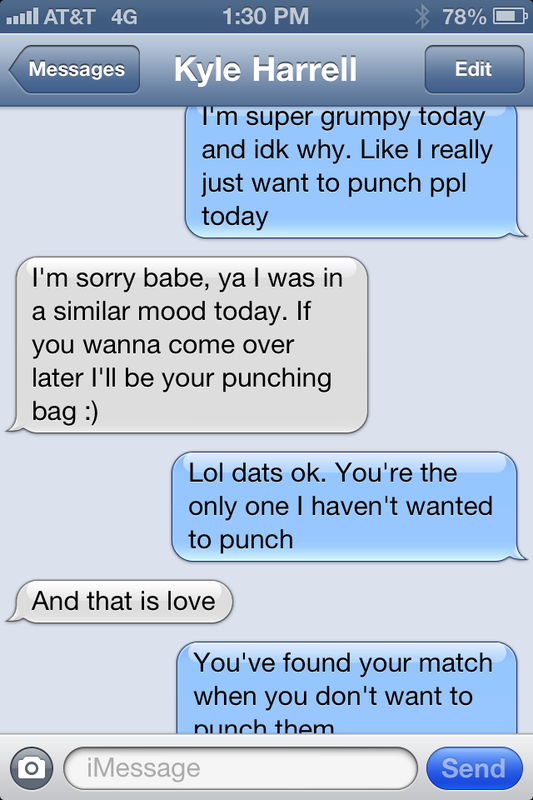 You know you’ve found your soul mate when you don’t want to punch him/her in the face. Have you ever had one of those days where you’re just super cranky? You’re not mad about anything in particular, you’re just mad. I know I found my lobster cause I didn’t want to shove my fist in his face. My day turned around completely towards the afternoon though. I found out some really good news at work, and so all my work stress paid off. I got a big promotion 🙂 It was hard to finish work because I was so excited! 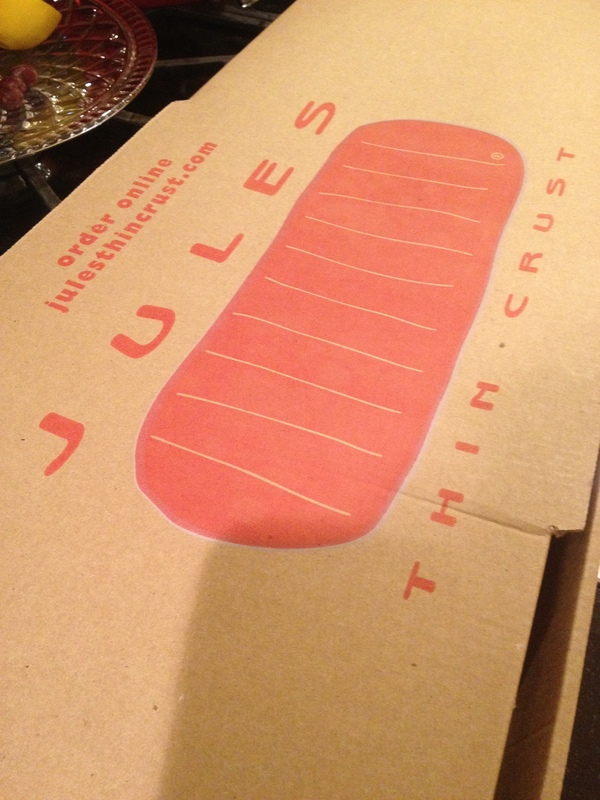 To celebrate and to undo my workout, we got Jules Thin Crust Pizza for dinner! My friend took me there for lunch earlier this summer and it has been a favorite ever since. Y’all know I didn’t take a photo of my food because I’m too stupid to remember, but here’s the box. Ha. Jules Thin Crust is sort of a local pizzeria. The owner/creator actually started these restaurants in PA, and decided to open a couple up in CA with his friend from high school (who lives in CA). I love it because I never get that “OMG that was so greasy and now I feel disgusting” feeling after eating here. Any restaurant I can stuff my face and NOT feel guilty is my favorite place. Our organic dough and sauces are made fresh, in-house, every day. No additives. No bad stuff. Only the good. Our ingredients are seasonal, locally-sourced if possible, and organic. They have gluten-free, vegan, and vegetarian options which is nice cause everybody seems to be on the Miley Cyrus diet these days. The pic from the website because I’m lame. Yum. Now I want pizza for lunch. Too bad it’s my usual salad with tofu- bout to get wild up in here. Do you get these cranky days? Or is this just me and I should be committed? More importantly, do you take advice from Miley? I LOVE Jules pizza, it’s our go to when Jill and I have a meal out together. nom nom. It’s one of my faves!! I think everyone has those days. I don’t usually want to punch people in the face but when I’m easily annoyed I tend to get short with people. Congratulations on your promotion!!! Haha I didn’t actually want to punch people in the face..Thank you! !